I know we were just talking about St. Patrick’s Day yesterday, but today is all about Easter. A couple years ago the kids and I started booing our friends and neighbors for Halloween and have so much fun doing it that I figured an Easter version was a must. So next week instead of booing we’ll be egging! After stocking up on Easter-y knick-knacks and treats to fill these egg crates we’ll pick a few front porches to leave them on and then ding-dong ditch (the kids’ favorite part). Hoping to get another one packaged and shipped to a special little someone too. 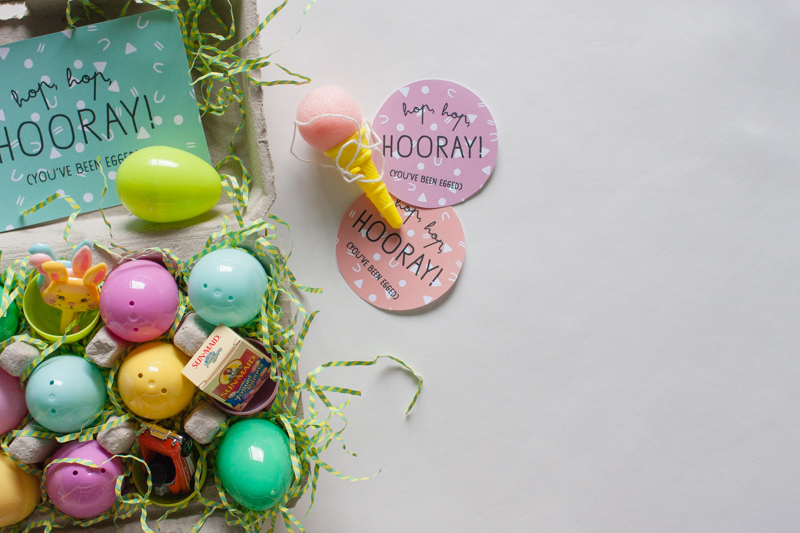 Click to download the, “YOU’VE BEEN EGGED” TAGS + CARD to make your own. 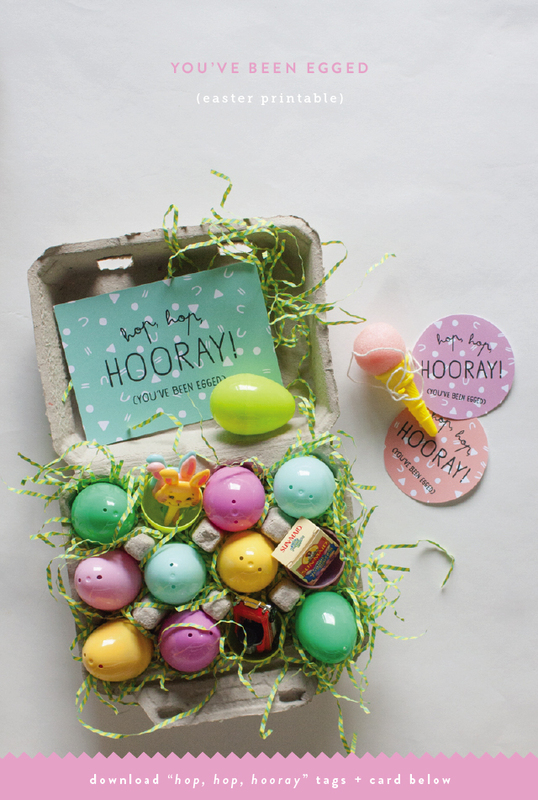 Baskets or gift bags filled with stuffed eggs would be just as cute and maybe even hold more goodies. I always love seeing your projects on Instagram so be sure to take a pic and tag me if you go egging @raeannkelly! P.S. 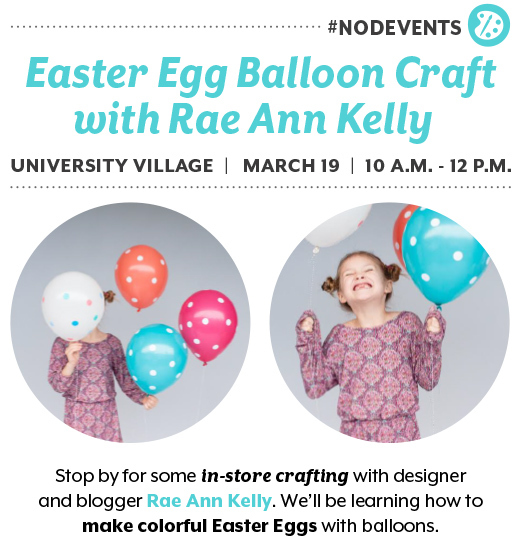 – Hoping to see all of my Seattle area friends at the U Village Land of Nod this Saturday! RSVP if you can to nonevents(at)landofnod(dot)com but feel free to come either way. More details below…. Can’t wait!